With the school closure today, I’ve posted some revision work for the Wheatstone Bridge. Please read through the revision section and attempt the questions in the attached pdf. We’re coming to the end of the topic that investigates the behaviour of a Wheatstone Bridge. The bridge circuit is really just a pair of potential dividers (voltage dividers) dividers connected in parallel. A voltmeter, ammeter or galvanometer (very sensitive ammeter) connects the two potential divider chains together, as shown below. For the circuit shown above, the voltmeter will display the difference in electrical potential between points B and D. We can calculate this potential difference by finding the voltages at points B and D using the voltage divider equation you used for National5/Standard Grade/Intermediate 2 Physics. This property of a Wheatstone Bridge can be used to find the temperature of the physics classroom if one of the resistors is replaced with a thermistor – see p14 of your notes. 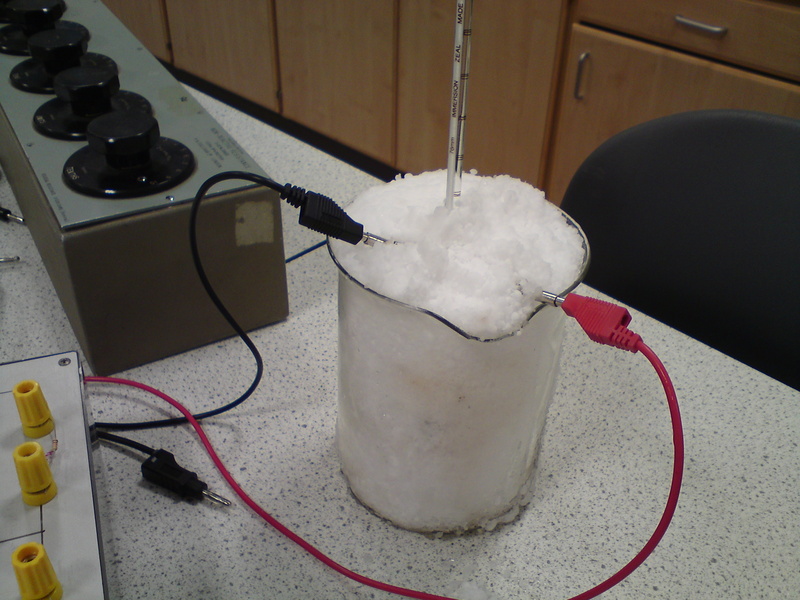 The thermistor is immersed in a beaker of ice & water (I used snow one year – see photo) and the Wheatstone Bridge is balanced while the thermistor is cold. Note the temperature of the ice/water mixture and the reading on the galvanometer. Remove the thermistor from the beaker and leave it sitting on the desk for a few minutes. Check the new galvanometer reading and use your graph to find which temperature would give this value for current. When we did this on Monday (5.5 class), we found that the graph predicted a room temperature of 14°C, 20°C or 25°C, depending on the group. The digital thermometer in the corner of the room showed 17°C. Why is there a difference? 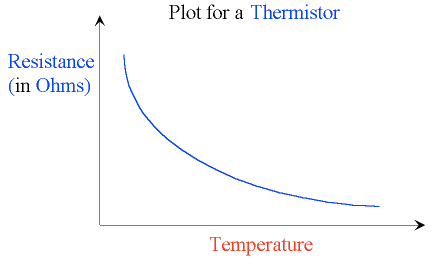 As we discussed on Monday, this experiment is flawed due to the way resistance of a thermistor changes with temperature (you might remember this from Nat5/SG/Int2). 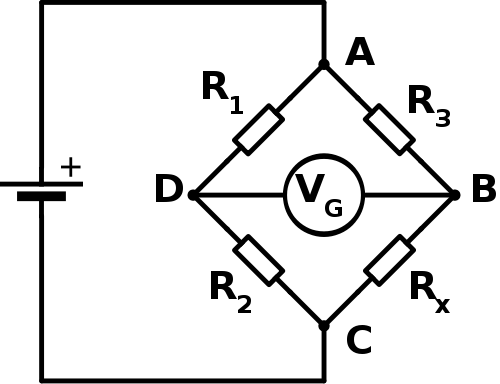 Since the resistance is not proportional to temperature, we will not get an accurate answer…..unless we stay very, very close to the temperature at which we balanced the Wheatstone Bridge. In this case, we tried to cover too large a range of temperatures. For temperature ranges much smaller than the 80°C we attempted, it is possible to obtain an accurate estimate of room temperature.